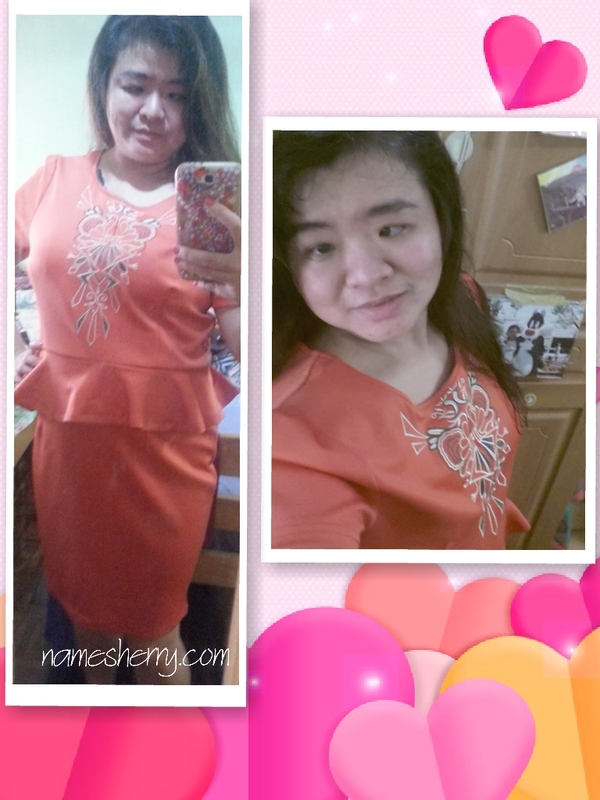 Every woman needs a pampering moment, being mommy of two boys. 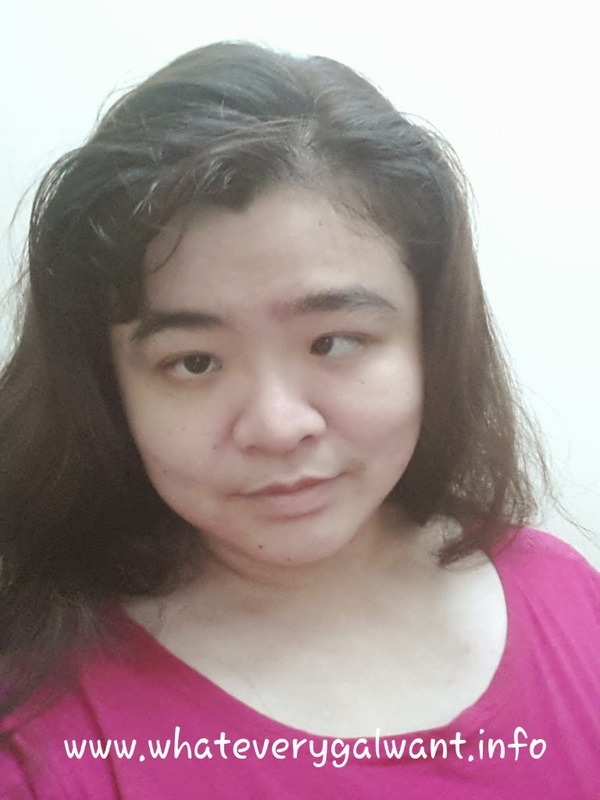 I need to pamper myself, I can do it at home. 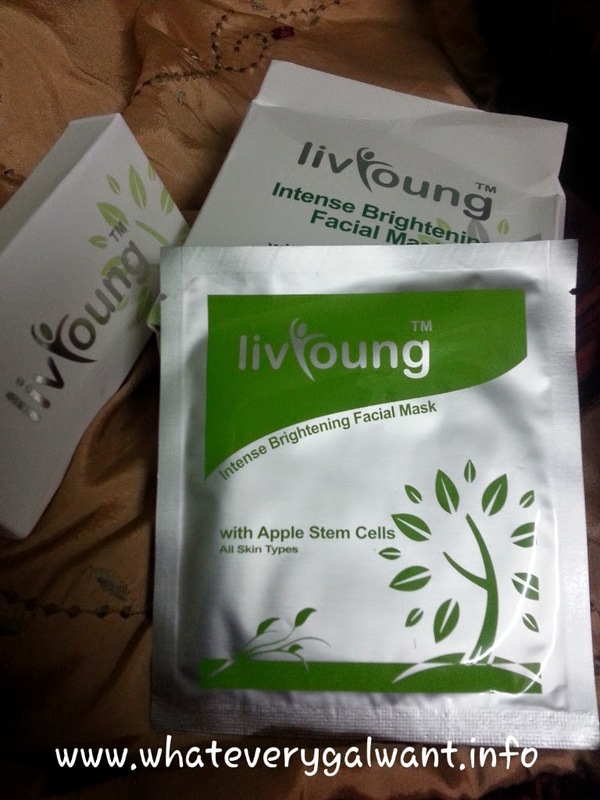 LivYoung Intense Brightening Facial Mask with Apple Stem Cells. 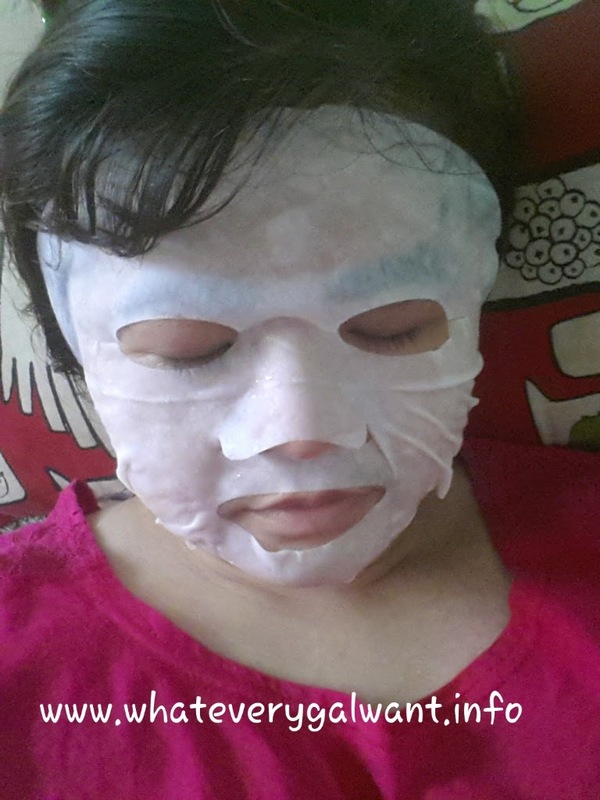 Anti-aging, brightening and moisturizing facial mask contains apple stem cells, hyaluronic acid, Tremella Fuciformis Sporocarp extract, cucumber (Cucumber Sativus) fruit extract and Scutellaria Baicalensis Root Extract that protect and rejunevate the skin stem cells and leaves skin bright, moist, elastic and smooth. For your info this product is formulated in France. 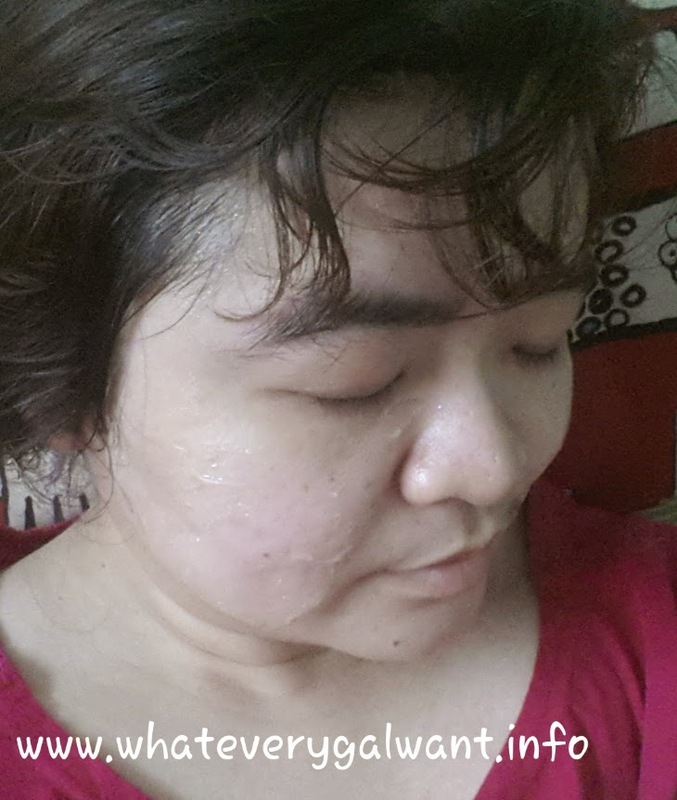 You can rejunevate your skin with this mask 3 times per week. 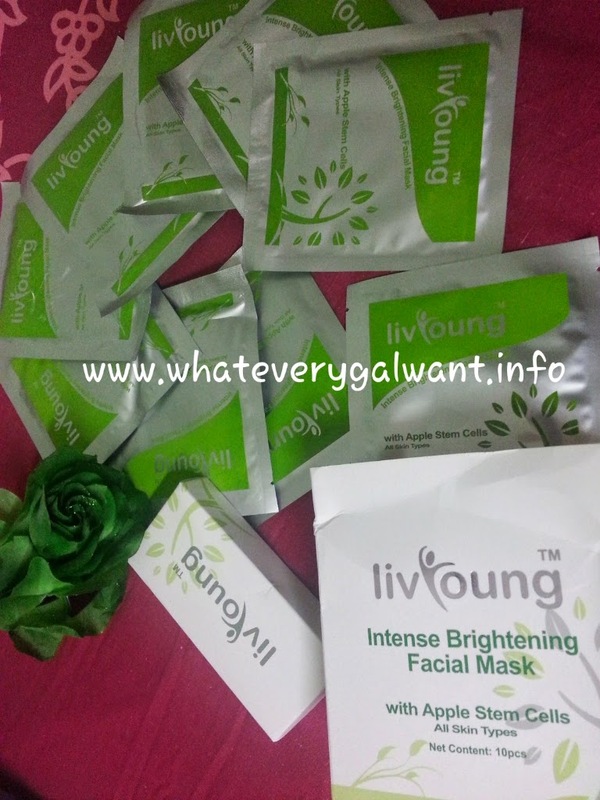 It is selling at RM149.00 for a box of 10 pc of LivYoung Intense Brightening Facial Mask. Storage of this product, keep in a cool dry place. Avoid sunlight!